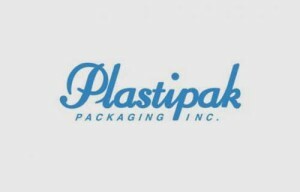 Plastipak Packaging, a leading global manufacturer of rigid plastic packaging as well as virgin and recycled plastic resin, has announced the completed the acquisition of the business assets of Evolve Polymers Ltd. Evolve is one of Europe’s leading plastics recyclers, based in Hemswell Cliff, United Kingdom. The business will begin operating immediately under Plastipak’s ownership. Contracts with Evolve’s existing key business partners have been secured for continued effect.Plastipak’s global recycling operations currently recycle billions of bottles per year, and the site being acquired has the capacity to process an additional 6-9 billion PET bottles into food-grade and other high quality material. “Evolve’s prior owners invested significant resources to build the Hemswell Cliff site starting in 2006, and the business’s performance benefited from continuous improvements,” said Martin Hargreaves, Managing Director, Plastipak Europe. Frank Pollock, President of Plastipak’s International Operations and Chief Commercial Officer, said: “We are excited to begin collaborating further with the management and associates formerly employed by Evolve to provide more eco-friendly plastic packaging to consumers.